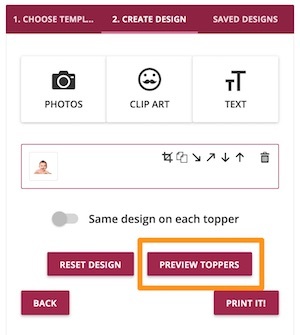 To preview and share your design, press PREVIEW TOPPERS. This then displays your design in a final preview format. You can use the link at the bottom to share with customers or colleagues before printing. 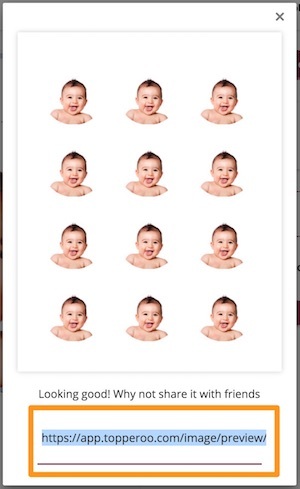 Just press the x button to return to the design.